Facilitated by Ray Lambert, BEDC’s Economic Development Officer, and Ondreyah Rochester, BEDC’s Trainee Economic Development Officer, Ice House is an innovative international programme, which was introduced to Bermuda in 2014. The eight-week curriculum provides a challenging learning experience and is designed to reveal new opportunities, ignite one’s ambition, and foster the skills that will empower them to reach new heights as an entrepreneur. 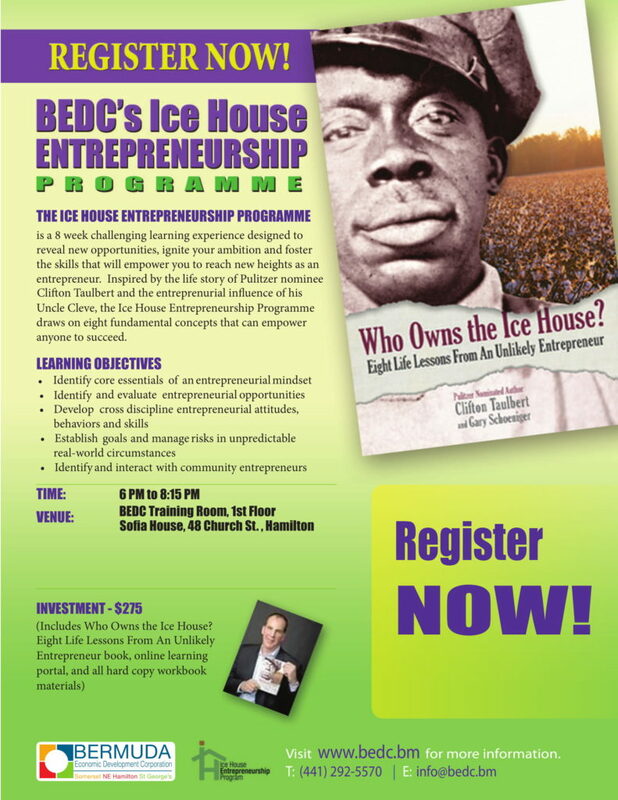 Inspired by the life story of Pulitzer Prize nominee, Clifton Talbot, and the entrepreneurial influence of his Uncle Cleve, the Ice House Entrepreneurship Programme draws on eight fundamental concepts that can empower anyone to succeed.